Cannons at the grounds of the Grand Turk Post Office. All of the main populated islands in the Turks and Caicos have a government-run post office. These offices hold mail for pickup, are able to send mail, and sell stamps. Local post offices do not offer the additional range of financial services found at many post offices in the USA, UK and Europe. There is no general postal service delivery in the Turks and Caicos. There are several ways to send parcels, freight, and cargo to the Turks and Caicos, most of which are much less expensive by volume than either the postal system or a courier parcel service. For information, see Shipping, Air, and Sea Freight. Many of the services offered on Providenciales especially cater to small shipments and less than container loads (LCL). A mailbox is located in the Regent Village carpark in Grace Bay, Providenciales and at the Cruise Center in Grand Turk. Otherwise, post needs to be dropped off at one of the local post office branches. Stamps and cards can be purchased from many gift shops in the Grace Bay area of Providenciales, and at the Cruise Center in Grand Turk (and at all post offices). Required postage for postcards are $0.40 for British Commonwealth destinations (such as Canada and the United Kingdom), and $0.80 for all other countries (including the United States). 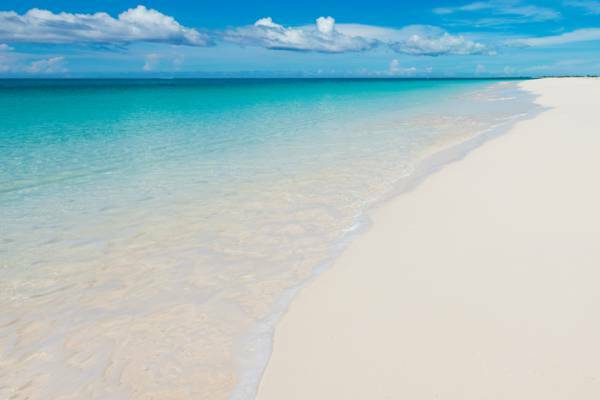 The postal code for the Turks and Caicos is TKCA 1ZZ. In the past, the country never relied on a postal or zip code. BWI (British West Indies) was occasionally used in lieu of an actual code, but is rarely seen today. The use of the UK format postcode TKCA 1ZZ is now becoming increasingly common. Courier services are available on Providenciales and Grand Turk. Providenciales has local branches of FedEx, DHL, UPS and IBC (International Bonded Couriers). With the exception of IBC, delivery is typically offered and complimentary. Grand Turk does not have local branches of any couriers, but delivery of FedEx shipments is provided. For packages where customs duty is payable, a customs clearance fee (typically $15 to $25) is usually applied in addition to the duty amount. Be advised that other international courier companies without local branches are often able to send packages to the Turks and Caicos. However, there may be extra fees applied by the local partner courier or airline that handles the final import into the country. If possible, consider using either FedEx, DHL or UPS. One of the beautiful old colonial buildings one Front Street in Cockburn Town, the Post Office is a great place to browse the colourful and interesting Turks and Caicos stamps, and of course send letters and packages! Found in the centre of the settlement of Kew on North Caicos, this is the main post office for the island. The main post office for the island of Providenciales. Temporarily located at the Town Centre Mall in the Downtown area. The main (and only) post office for the tiny island of Salt Cay. Located in Balfour Town and with walking distance of Deane’s Dock and the airport. Main post office for South Caicos. Located in Cockburn Harbour. 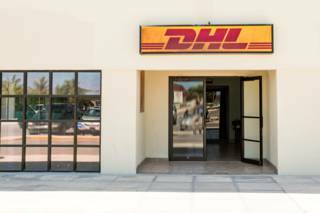 Local office for DHL, located at the Town Center Mall on Providenciales. 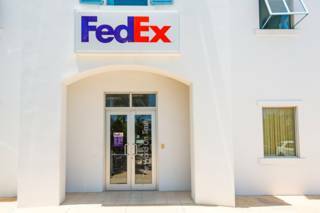 The Providenciales office for FedEx, located at Graceway Plaza, Leeward Highway. 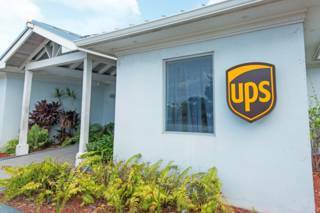 This is the main Turks and Caicos branch of UPS. 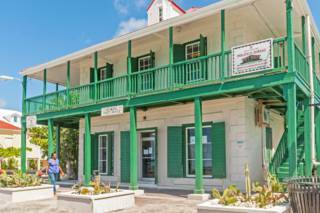 The office is located on Old Airport Road in Downtown Providenciales. Shipments both into and out of the country are handled at this location.